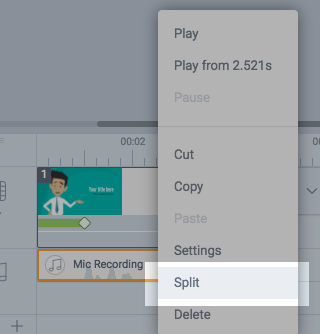 1) Place the mouse over the audio clip at the exact split point. 2) Right click the audio clip and click Split. 3) Trim the clip by dragging the end to shorten it.